Like diamonds, colored precious and semi-precious gemstones come from the earth itself. For millennia, they have been lauded for mystical and mythological properties, such as the ability to heal, ward off negativity and bring luck. They have also stood as symbols of social standing, with certain colors being connected with particular groups. 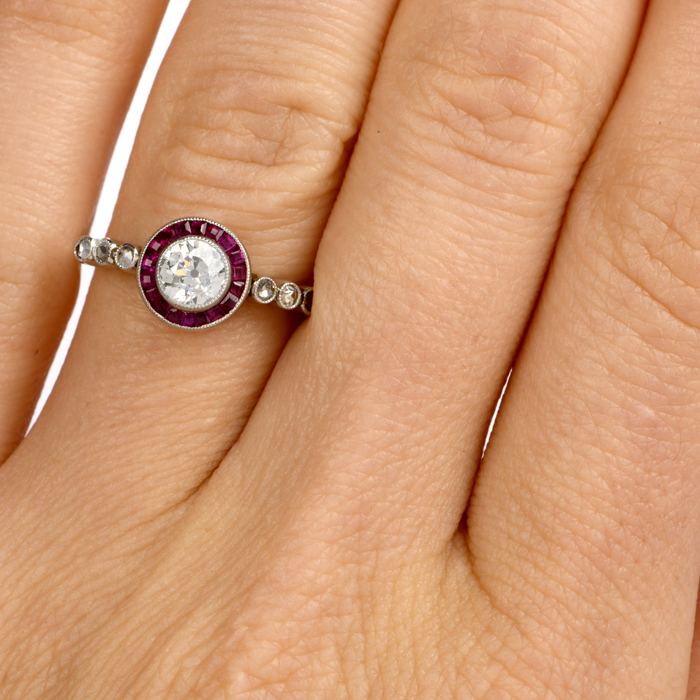 You will see both precious and semi-precious stones in our vintage and estate colored engagement rings. Precious stones refer to diamonds, rubies, emeralds and sapphires. Semi-precious stones are gems including citrine, aquamarine, topaz, turquoise, tanzanite, jadeite, amber, amethyst and others. Our certified gemologists at Dover Jewelry thoroughly examine, classify and authenticate every gemstone we receive and sell. 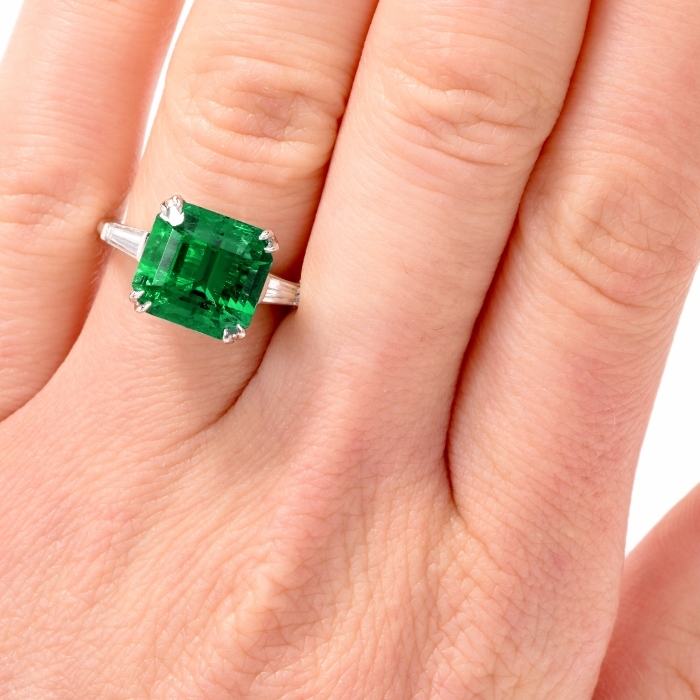 When you purchase your favorite estate or vintage colored gemstone engagement ring, you will receive a certificate of authenticity backing your purchase. 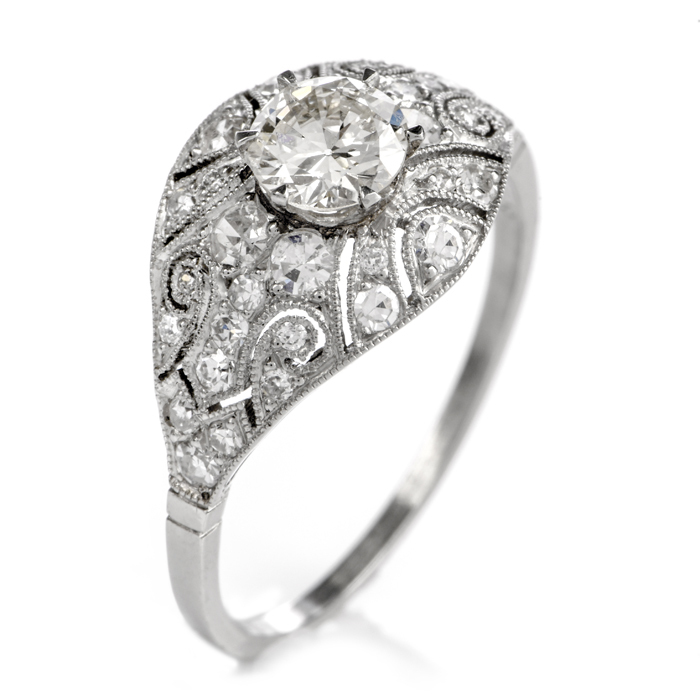 For many couples, a white-toned diamond engagement ring simply isn’t dramatic enough. They want more intensity, drama and uniqueness. 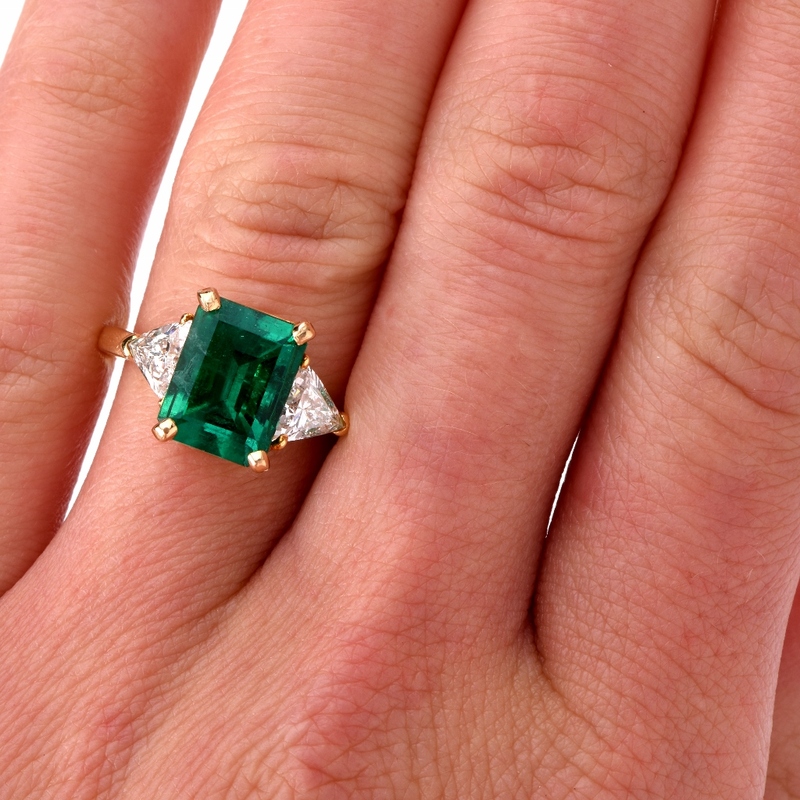 This may be why so many Dover Jewelry clients are opting for antique, vintage and estate colored stone engagement rings for sale. Colored precious and semi-precious gemstones have been expertly utilized by the most world-renowned jewelry houses to breathe life and distinctive character into engagement ring settings. 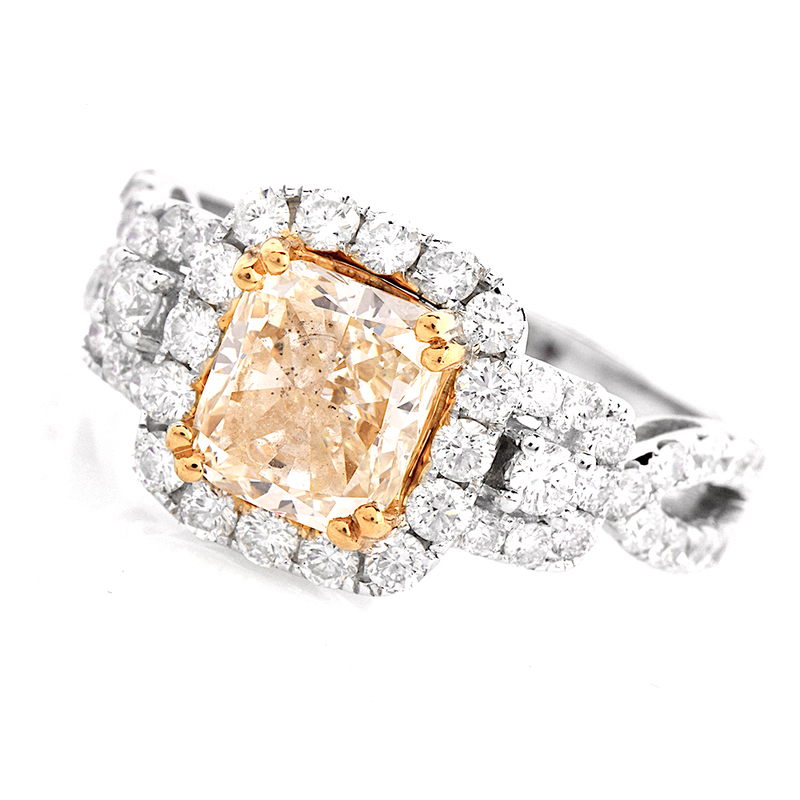 We invite you to browse through our online collection of vivid, remarkable colored engagement rings for sale to find the one that evokes the look and feel you want. 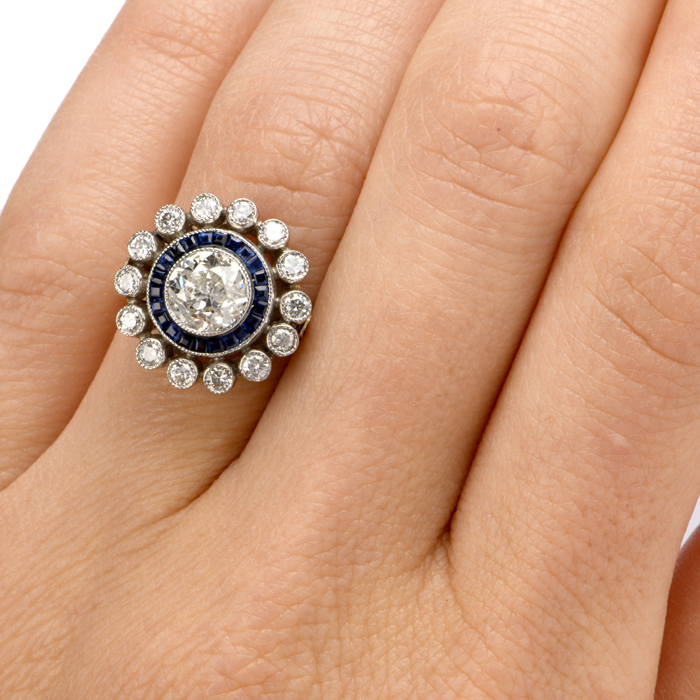 When you look through the colorful engagement ring options at Dover Jewelry, you may find it difficult to choose the right one. Look closer, however, and you will realize that certain colors stand out to you. You might find you gravitate toward deep, rich, lustrous blues or that you love the vibrant nature of emerald and jadeite. Perhaps pink, red or a dark amber suits you best. The goal is for you to find an engagement ring you will be happy with and will be proud to wear for a lifetime — and then pass down as a family heirloom. 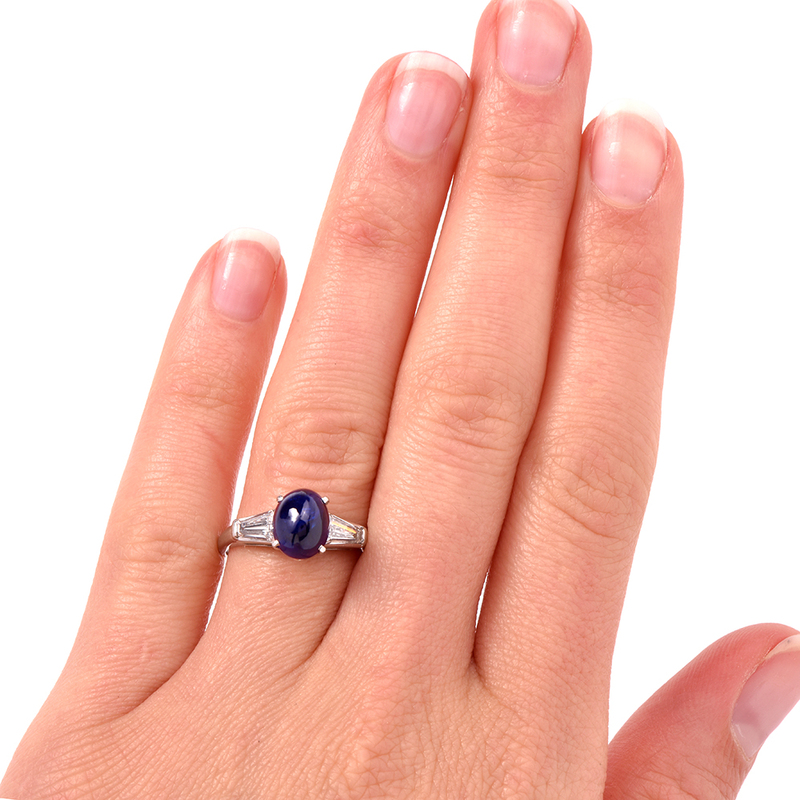 Some clients like to take the origin of the colored gemstone into consideration when picking an engagement ring as well. This helps add an historic or geographic significance to the piece. 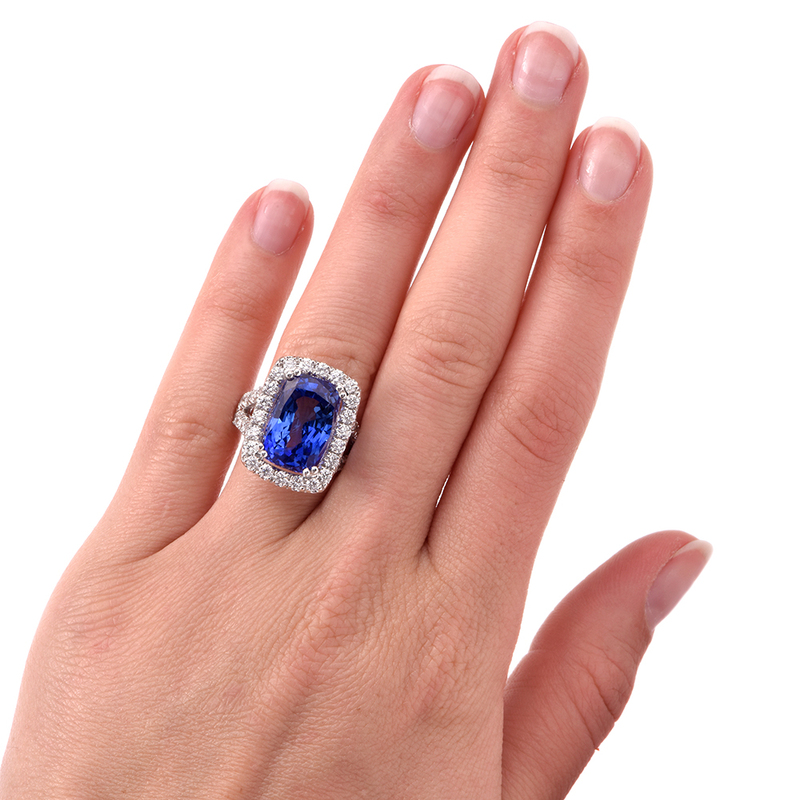 For instance, an individual might prefer tanzanite both because of its brilliance and the fact it comes only from mines in Tanzania, an exotic locale. 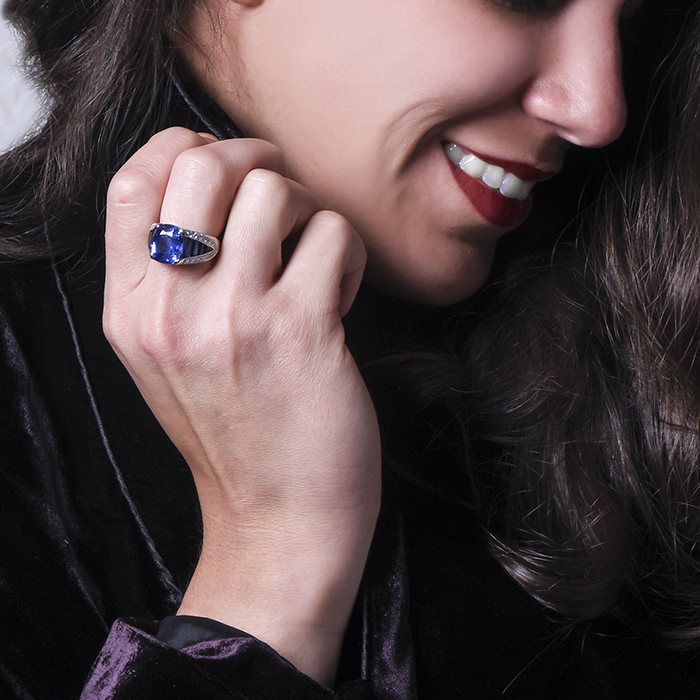 At the same time, engagement ring shoppers looking for gemstones that come from the rich South American soil will want to focus on picking stones from places like Brazil and Colombia. At the end of the day, there is no one way to narrow down your choices, except by your personal preferences. Sometimes, it’s obvious which vintage colored stone engagement ring is right for you, and once you find it, a sense of elation will ensue. 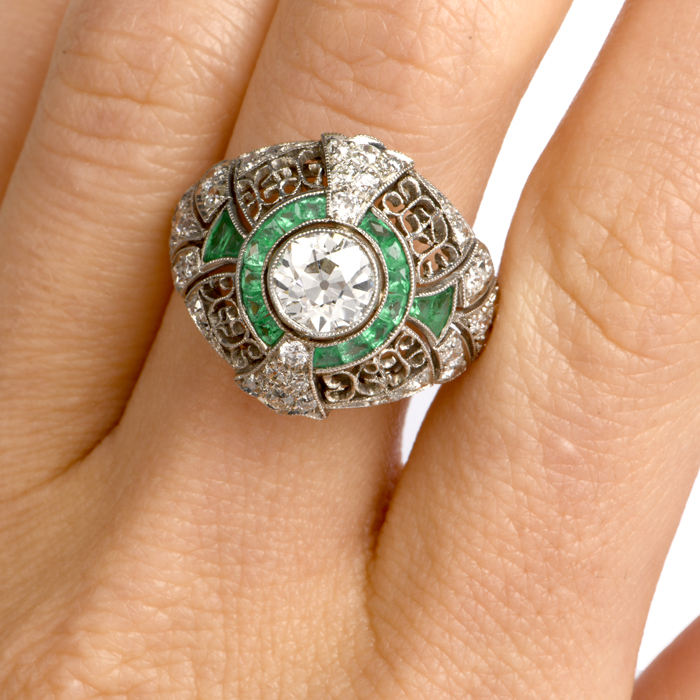 You will notice that some colored stone antique and vintage engagement rings are labeled as being estate rings. This means they either were purchased by Dover Jewelry’s knowledgeable buyers from an estate or as a single piece from an individual or representative. 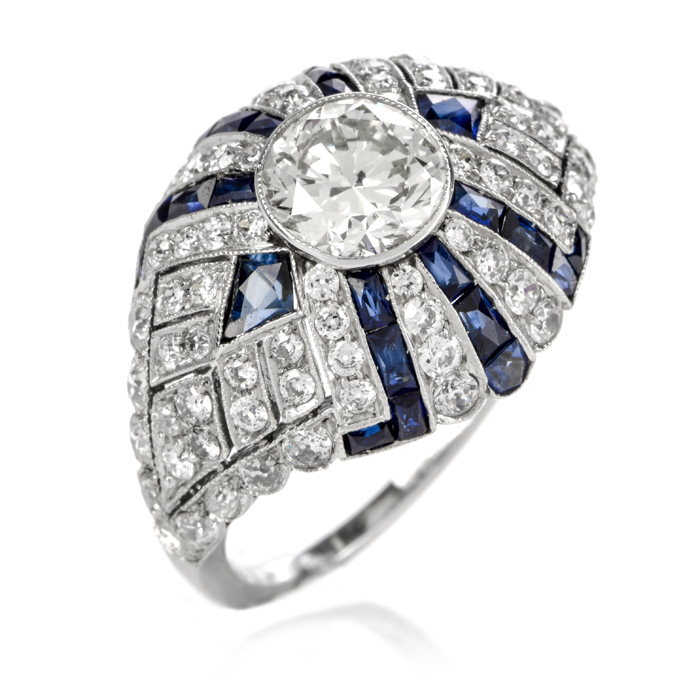 Estate engagement rings featuring colored stones are particularly sought-after because of their inherent uniqueness.